97% of B2B buyers believe that client-generated content like ratings, reviews, and testimonials are more credible than content produced by the firm they are researching. 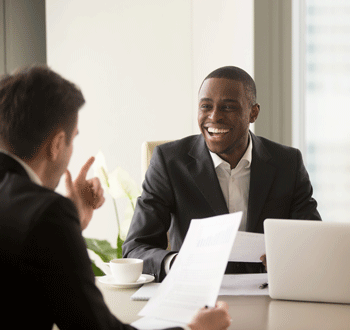 With more than 10 years' experience administering satisfaction surveys for professional service firms, the team at ClearlyRated has watched with excitement as the influence of client satisfaction on buyer behavior has continued to grow. But bridging the gap between client experience and buyer perception in the B2B space is easier said than done. What resources are available to help B2B firms gain a realistic understanding of client perception and measurably improve client satisfaction? And what opportunities do service leaders have to credibly differentiate on the quality of service they provide? The answer is - not many. That's why we created ClearlyRated. 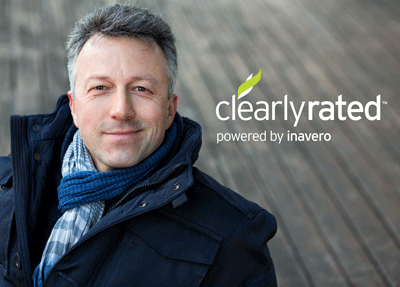 Part satisfaction survey, part industry award, part ratings-based online profile - ClearlyRated helps your firm place client satisfaction at the heart of your growth strategy. We live in the age of transparency. Buyers rely on crowd-sourced information to fuel their decisions more than ever before, while clients are equally empowered to share their stories and perceptions with the world at large. As a service provider, it can be easy to default to a protective mentality... to batten down the hatches and take a command-and-control approach to managing client relationships and brand reputation. But there's no easier way to build trust and win loyalty with your clients - and certainly no easier way to instill trust in the minds of your buyers - than to embrace the transparency dynamic and all of the vulnerable, meaningful, and honest discussions that come with it. Companies like Lyft and AirBnB are living proof that humans are ready and willing to challenge standard ways of doing business when they have access to credible, meaningful information.